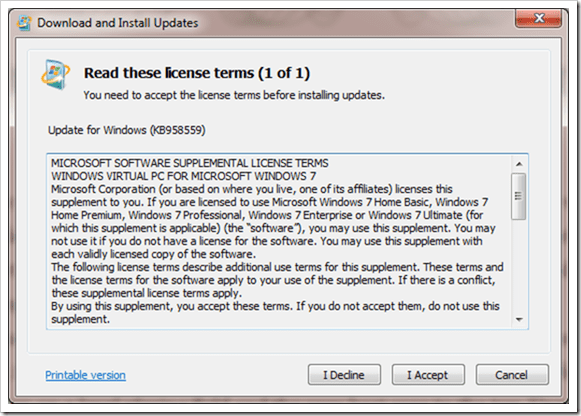 Chrome’s App Launcher, released not too long ago, is Google’s new weapon to invade Windows. It brings Chrome’s App to the next level going native right onto Windows. It’s a new kind of Chrome App that allows you to launch your favorite apps right from the desktop, which brings together the speed, security and flexibility of the modern web with the powerful functionality previously only available with these native Windows apps. The number of these native Apps are still relatively small on Chrome Store, but if you like the idea, you may still fill up the launch pad fairly quick in a short time. Do you know you can also make folders within the App Launcher to better manage your growing native Chrome Apps, just like how the apps are on iOS devices? There is a flag called Enable the app list folder you need to enable. It’s disabled by default. Go to chrome://flags, search for the words folder, and you will be able to locate it easily. Click the link Enable, and relaunch the browser. It’s just the same how you use the folders on your iPhone or iPad. Drag one icon on top of the other, and release it. You can name the folder the same too, just go into the folder, and type the name at the top of the window. And when you want to move one icon out of the folder, go into the folder, drag that icon to outside of the App Launcher window, stay out for a bit until you see the home screen in App Launcher, and move the icon back. 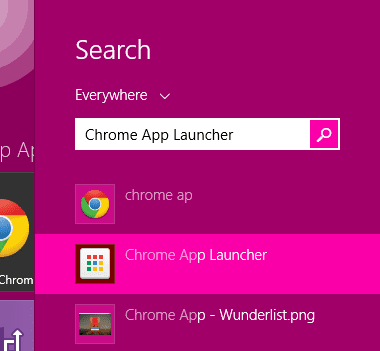 Finally, in case if you don’t see your App Launcher on your Taskbar, you can re-pin it Windows 8’s search screen. 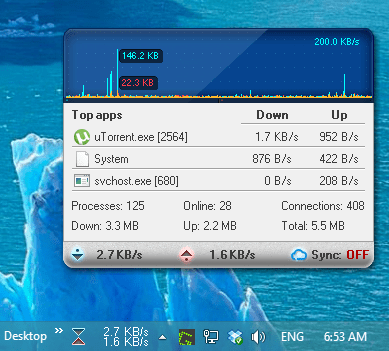 Or if you are on Windows 7, go to Start Menu > All Programs > Google Chrome to find it. 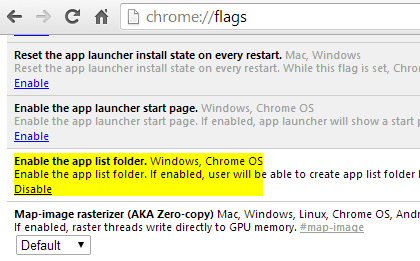 If still no lucky finding it, most likely you haven’t installed any Chrome desktop app yet. 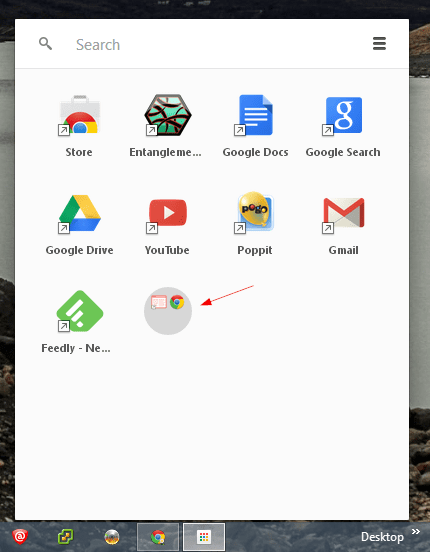 When you install an app from the “For Your Desktop” collection of the Chrome Web Store, you get the App Launcher.